Download the royalty free graphical human organs symbols and create your professional human organs infographcis. 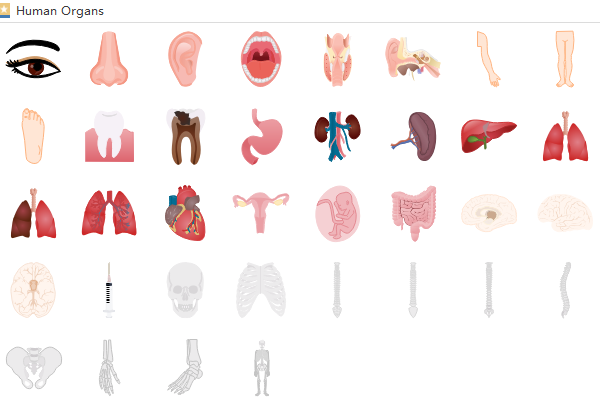 Users can find various graphical human organs symbols in the libraries of Edraw infographic maker. Below picture shows part of them. All the infographic elements Edraw provides are free to drag, drop and edit. Users can easily customize them according to different situations. And Edraw never stops creating new symbols. Don’t worry if you can not find the human organ symbol you want in the built-in symbols. 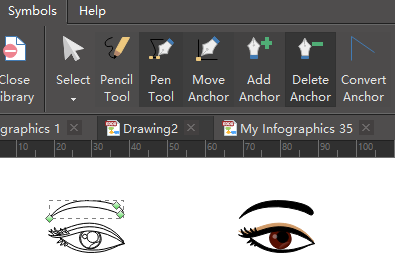 Just go to Home page, click symbols and choose a proper drawing tool such as pencil or pen tool to design the right symbol you want. Here is the application of human organs symbols which helps people to know all the parts of their bodies better. Want to use the above human organs symbols in your infographics? Download Edraw Infographic Maker! It includes a large variety of human organs shapes which are easy to modify. Design a wonderful infographic is just a few click away. Try it now!